There are few imperfections that have as much of an impact on the smile as misalignment issues. Misalignment problems vary in severity and can result in crooked teeth or just a single tooth that is out of place. A jutted tooth is one that sits on a different plane than the rest of the teeth, or sticks out from the tooth line. A jutted tooth may not compromise the smile as much as severe misalignment does, but it can prevent patients from having the beautiful smile they desire. Cosmetic dentistry treatments address blemishes and imperfections, such as a jutted tooth, so that patients can benefit from straighter teeth and a more attractive smile. At Signature Smiles, our team of experienced dentists is happy to offer a range of treatments for a jutted tooth so that our Woodinville, WA patients can smile with confidence. Even though a jutted tooth may be the only obvious sign of malocclusion, or misalignment, that doesn’t mean that there aren’t other issues present. In many cases, the reason that a tooth juts out from adjacent teeth is because of overcrowding or a misaligned bite. 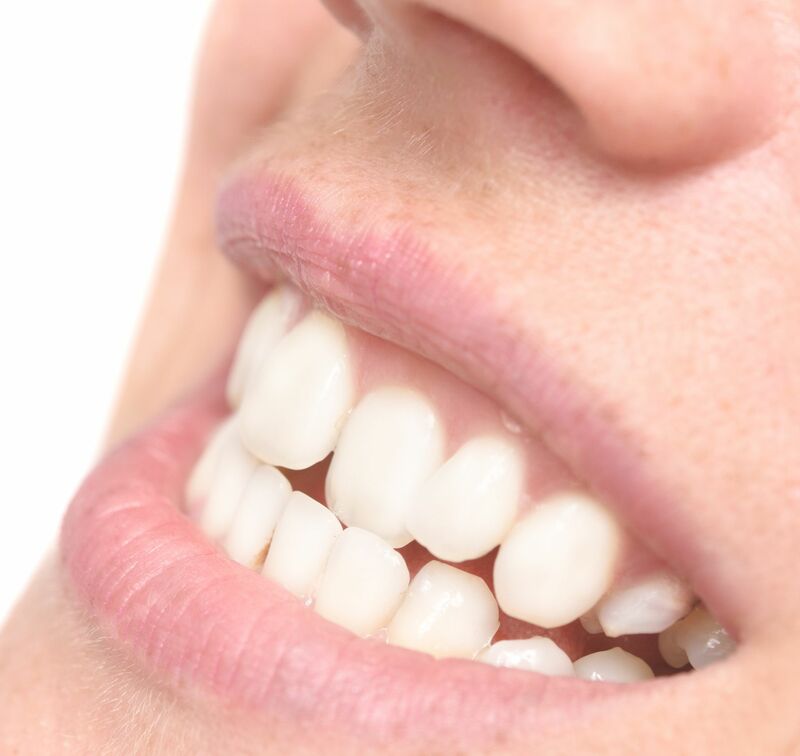 A misaligned bite can affect the appearance of the smile, and it can lead to compromised oral functions and an increased risk of oral health problems. Invisalign® utilizes a series of clear, plastic aligners to gradually shift the teeth into their ideal positions, thereby correcting the bite. The effects of Invisalign® treatment are similar to that of braces, but the treatment process is far more convenient for patients. Invisalign® allows patients to avoid metal brackets and wires that tend to be bulky, uncomfortable, and unattractive. Invisalign® aligners are also removable, which makes eating and caring for the teeth much easier. Patients who are looking to treat a jutted tooth and improve their overall bite without sacrificing 12 or more months to braces are likely ideal candidates for Invisalign®. Although misalignment problems can result in a jutted tooth, they are not always severe enough to impact the health or function of the smile. If a jutted tooth is the patient’s only concern, a fast and convenient treatment may be more suitable. Porcelain veneers may be the best option for these patients. Porcelain veneers are thin shells that fit over the front surface of the teeth. Porcelain veneers treatment requires just two dental appointments and can be completed in a matter of weeks. After designing the veneers and preparing the teeth at one appointment, patients will return a few weeks later to have the finished veneers bonded in place. Aside from concealing a jutted tooth to give the impression of straighter teeth, porcelain veneers offer the added benefit of improving tooth color and hiding flaws such as chips, cracks, or fractures. Another option for a jutted tooth is a dental crown. A dental crown surrounds a tooth on all sides to enhance the strength and structure of the tooth. For a tooth with severe cosmetic flaws, a dental crown can also improve the appearance of the tooth. If a jutted tooth has suffered any structural damage, a dental crown will be the best way to repair dental damage while improving the shape and position of the tooth to enhance the overall appearance of the smile. If a jutted tooth is preventing you from truly enjoying your smile, the experienced team of dentists at Signature Smiles can help. Schedule an appointment at your earliest convenience to learn more about our comprehensive range of cosmetic dentistry treatments.